The historic UK referendum on continued European Union membership is also a global concern. Three outcomes are possible, with different political, economic and financial effects. The overall conclusion from SEB's economists is that in case of a “Brexit” (British exit), the political consequences would be larger than the economic ones, which in turn would probably be sizeable if not dramatic. Below they answer the 19 most common questions from Swedish and foreign customers. 1. When will the UK vote on EU membership? Answer: On Thursday, June 23, the British people will vote on whether the United Kingdom should remain a member of the EU or leave the EU. See the ballot paper below. Polling stations will close at 23.00 Swedish time (22.00 British time). An early indication of the outcome may be published soon after the polling stations have closed. 2. Is the outcome of the referendum binding? Answer: Legally no, but politically maybe. A clear outcome – a wide gap between Remain and Leave, and/or a heavy turnout − will make the outcome easier to interpret. Not following a clear outcome can be viewed as political suicide. But there are no minimum voter turnout requirements to decide whether the outcome should be considered valid. Ultimately the British Parliament will make the formal decision. 3. What are UK public opinion polls saying right now? Answer: On May 19, the Financial Times poll-of-polls showed that the Remain side had 47 per cent of the votes and the Leave side 40 per cent, with 10 per cent uncertain. Betting firms give the Remain side a 80 probability of winning. Right now the electoral winds are blowing in favour of Remain. 4. What is the most likely outcome? 5. How will the “uncertain” people vote? Answer: Two factors suggest that numerous “uncertain” British voters will ultimately choose Remain: a. 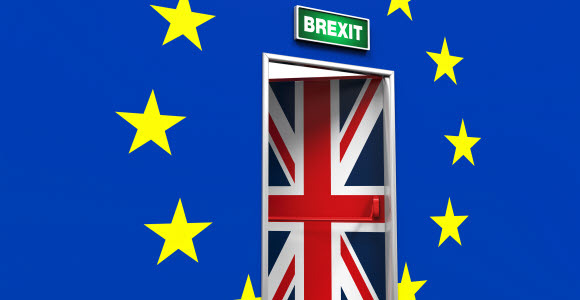 The question – see above – is formulated in such a way that uncertain and doubtful voters will prefer today’s situation; b. our analyses indicate that previously uncertain voters have chosen to switch to the Remain alternative. The BBC will hold its televised referendum debate on June 21, so the final week will be crucial. The whole world is pressuring the British to “vote correctly” – otherwise they risk a negative reaction. 6. If the outcome were Remain, what would happen? 7. In case of a “soft Leave” vote, what would happen? Answer: If, contrary to our main scenario, the British people vote by a narrow margin to leave the EU, there are good reasons to assume that both London and Brussels would be prepared to reassess the UK-EU agreement one more time. This would open the door for a new referendum. Other EU member countries such as France, the Netherlands, Ireland and Denmark have been given the opportunity to vote more than once in referendums. But a new referendum must be held quickly, both in order to diminish uncertainty and avoid coinciding with the 2017 French and German elections. 8. In case of a “hard Leave” vote, what would happen? Answer: If the people of the UK voted by a wide margin (at least 5-10 percentage points) to leave the EU, great uncertainty would arise. It would be up to London to decide when to activate the “exit clause” in the EU agreement. Once this happens, the clock starts ticking. Within two years, negotiations must be concluded and the UK must leave the EU. In practice, we expect the process to take much longer than this. UK-EU negotiations should reasonably be held in a pragmatic spirit, thereby decreasing risks of disaster. 9. How would Brexit affect the UK politically? Answer: There are many indications that the UK would face a government crisis that might eventually lead to a fresh election and the possible ouster of the governing Tories. If the referendum outcome also varied greatly between Scotland and England, this would fuel the issue of a possible new Scottish referendum on independence from the UK. 10. How would Brexit affect the EU politically? Answer: The EU project would suffer a severe loss of prestige if a key country, even a rebellious one, chose to leave. All this would happen while the EU struggled with other challenges: economic growth, the euro, the refugee crisis and security policy issues. Many people maintain that Brexit would lead to tighter integration and a stronger EU, but this is doubtful at a time of powerful populist currents. Instead it would be harder to push towards greater integration, which would also weaken the euro zone. We expect an EU without the British to have less focus on economic liberalisation and structural reforms, which would have a negative long-term impact on growth. 11. How would Brexit affect the UK economically? Answer: According to SEB’s forecast, greater uncertainty can be expected to lower British growth by nearly 2 percentage points during the next couple of years. There are also reasons to anticipate lower long-term growth, depending on the country’s future role in global trade (trade agreements) and London’s potential to remain a global financial centre. The British government’s scenario is an annual decline in growth of 0.3-0.5 percentage points during the next 15 years. 12. How would it affect the EU/world economically? Answer: Heightened political uncertainty and risks of protectionism in the EU might slow its long-term economic growth. The impact on global growth would be relatively marginal, with events in China and the US being more crucial. 13. How would it affect the GBP and UK bond yields? Answer: The British pound and fixed income market have been adversely affected by Brexit-related uncertainty since late 2015. A “hard Leave” outcome would be expected to weaken the pound and lead to a higher risk premium on long-term UK securities. The UK’s central bank is probably ready to prevent destabilising exchange rate and yield movements and intervene in financial markets if necessary. 14. How would it affect global FX/FI markets? Answer: Political and – to some extent growth-related – uncertainty in Europe is likely to result in a stronger US dollar and push down stock markets and yields in the short term. As both London and Brussels tried to decrease uncertainty and ease the impact of Brexit – although many questions would likely persist – we would expect other forces to dominate global stock market and yields in the future. 15. How would Brexit affect Sweden politically? Answer: Sweden would be forced to adopt a clearer position on its relationship to the EU and the union’s desire to speed up integration and move towards greater federalism. An SEB/Demoskop opinion survey shows that 47 per cent of Swedes prefer to leave the EU if the alternative is to introduce the euro. Yet 38 per cent of Sweden say they can accept the euro (thus being prepared to “pay the price” of adopting the euro in order to remain in the EU). 16. How would Brexit affect Swedish economic growth? Answer: We would expect direct short-term negative effects to be relatively modest. If political uncertainty in Europe leads to an extended period of downward pressure on EU growth and stock markets, the impact on Sweden would be larger. 17. How would Brexit affect the Swedish krona? Answer: We would expect global uncertainty and lower risk appetite to result in a short-term weakening of the krona and force the Riksbank to continue its loose policy. Further ahead, greater uncertainty about the euro might trigger capital inflows into Sweden, thereby strengthening the krona. 18. Would Brexit affect the stability of the global financial system? Answer: A Brexit outcome would not be expected to trigger any worries about the stability of the global financial system. Nor would it cause short-term changes in the credit outlook of sectors or countries. Further ahead, there might be some adverse impact if long-term UK growth fell and had negative secondary effects on other countries. 19. How would Brexit affect Swedish banks? Answer: Short-term effects on the UK, the EU and Sweden would mainly be political, and to some extent economic. Although there is a risk of heightened financial market volatility, we expect central banks to be well prepared to help stabilise the pound, for example. Nor is there any risk of a liquidity crunch. The risks associated with Brexit are not of a financial or credit market nature. We thus believe that the impact on Swedish banks, including SEB, would be very small.